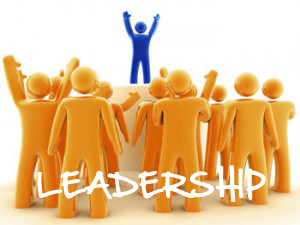 Do you practice leadership daily in your home business? Are you a Leader all day or only part of the time in your network marketing business? Do you KNOW about the secrets to Leadership and the Lens of leadership? What is the Lens of Leadership? It is like putting on a pair of sun glasses. But a very special pair that helps you see what Leaders envision and what Leadership requires for this business. These glasses shift and transform your Vision to see as a Leader DOES in order to accomplish what a Leader MUST. This is critical. And we are going to help you develop these lenses so you can work your business through the eyes of a Leader, not just a distributor. These Leadership glasses could even be considered a form of a “filter” that filters out what the average see and forces you to see what the Extraordinary see. They are very powerful lenses and you must learn to build your business and life looking through them. Leadership in Network Marketing is the MASTER skill. Everything rises and falls on Leadership. This includes your volume, numbers on your team, a well as your paycheck. 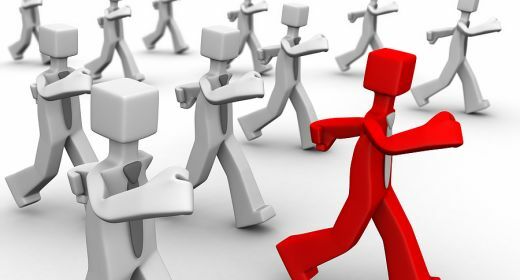 Leadership is THE determining factor in your success in this business. 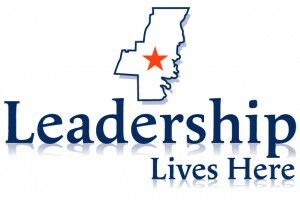 Everything revolves around Leadership and as we move forward you will begin to see that this is true. Million Dollar Secret: Your paycheck is nothing more than a reflection of your Leadership. If you do not like your paycheck, then do something about your Leadership as that is what is causing it to be what it is. You MUST have a well defined and comprehensive understanding of what Leadership IS and what it is NOT. 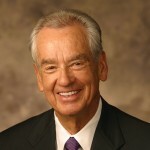 of Leadership and have a total connection of what TRUE Leadership is. of Leadership. What you VIEW FOR your business, you will DO IN your business. Otherwise, your VIEW will determine your DO. What you SEE your business will BE. yourself to what YOU think is possible, but what you and YOUR TEAM can DO to elevate all possibilities together. why we are going to go over the foundational aspects of Network Marketing Leadership so the rest of these posts make perfect sense to you for your mlm network marketing home business. How do you maximize the 4 step Leadership formula for Duplication and Multiplication for your home based business? What does it take to empower your business and network marketing efforts? How does the 4 step Duplication and Multiplication process work and what are the ACTIONS that need to be taken for mlm? Knowing and DOING are 2 totally different things as many people seem to know what to do, but then do not do it. Some seem to grasp the process but yet, ignores the power actions that it takes to make the duplication happen on their home business team. 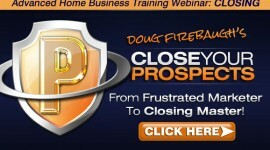 Are you aware of what it takes to MAXIMIZE the 4 Step Duplication formula? That is the reason for this post. We want to get it into you this information so you can apply these actions to your home business. They are simple but powerful actions that product powerful results. Levels quickly. Last POST we went over the WHAT of the 4 steps, and now we are going to go over how to MAXIMIZE these steps and take action with them. TELL the person what they are supposed to know and do, and make sure that they learn it, and got it done. This is called education. Here is also where you want to ROLE PLAY ROLE PLAY ROLE PLAY! Practice what you have told them to do. And practice, drill, and rehearse even more. Let them get a feel for what they are going to be doing. SHOW the person then how to do it LIVE and do it RIGHT. Take them on an appointment. 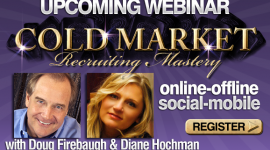 Get them on some calls or webinar with you so they can listen. Let them hear you prospect. Let them see you do a presentation online and offline. Let them hear you close someone. Let them SEE what you do and how to do it. Now, let them TRY what they have learned, seen and heard. After they have tried what they saw you do and heard you do, then you need to COACH them. Discuss what was great- and what needs to be improved. And then let them try it again, until they have it down successfully. And then they eventually will be DOING it by themselves– and ready to teach and EQUIP others with this simple philosophy of training. doing events, going local, and all there is to do, they will be wasting their time. YOU have to get them on the computer and SHOW them how to set up a facebook profile or twitter account. This is SHOWING- not just learning. There are many educated people with a home business that never get started. Do NOT beone of them. Use this post to help you accelerate your success in your mlm network marketing home business. Team building in network marketing and home business is a MUST, would you agree? Would you like to know 7 tips that will help you build a more powerful team? Have you experienced a lot of attrition on your team? Would you like to stop it? Many people TALK leadership, but few actually DO leadership. Leadership and team building go hand in hand. They are a powerful team, and without them, you will have no enduring business. Many distributors in their success pursuit, think that the team will bill build itself. It will not. YOU must be methodical in your team building, step by step. 1. Communicate daily with your team with NEW Ideas. New ideas on how to succeed in network marketing or direct sales is critical. You just FEED their HOPE of Success with “Hope Food” and that comes with new ideas. 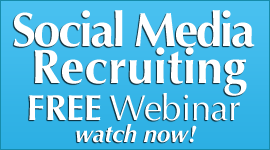 New ideas of recruiting, prospecting, social media, mobile recruiting, and much more. One New Idea can EXPLODE your team’s Success. 2. LOVE your Team to Success. My wife, Jodi Andros, who has been in network marketing for 16 years, says this all the time. She says that you must LOVE your team to Success. Let them know you appreciate their efforts, and their time. Let them know with cards, special emails, and also videos sent to them that are personal and encouraging . Love them to Success. 3. Develop the Team Culture with every Communication. 4. Praise Great Effort, not just Great Results. Effort is one of the greatest building tools you can use for your team. Yes, Results will always RULE. But GREAT effort is not far behind, as that is what eventually PRODUCES great results. Recognize the great effort, and you are sowing seeds of great results for your home business direct sales team. 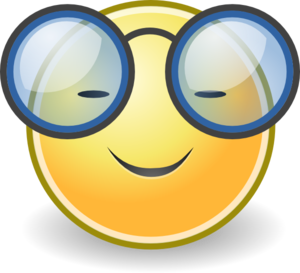 Recognize great phone calls, appointments set, meetings done, and conference calls and webinars done great. 5. Take Your team to Events and Make a Statement. Don’t expect your team to go to Regionals, or even National Conferences. TAKE THEM. Set goals and a plan for going, and then go together. Let your team KNOW that you ARE a team, go as a team, and sit as a team. Our Leaders sat with their leaders EVERY event and built that Team Identity every events. 6. Get Your team REALLY Connected to Corporate. One of the BEST ways to reduce attrition on your team, is to get them connected to your company’s Corporate Team. Have them get to know some folks in customer service and distributor services. Have your Leaders get to know the folks that can HELP them and solve problems. And also, it lets’ Corporate know who YOUR Leaders are as well. This will help your new people be CONNECTED to the Vision of Corporate as well. 7. Build Leaders, don’t just BE One. Building Leaders is THE single most important action you can take in this profession. Yes, recruiting is critical as well as retailing the product. 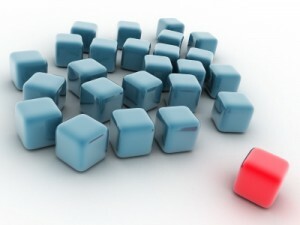 But if you do not BUILD LEADERS, you will not multiply your team. Duplication will help get your team get started, but Multiplication will get your team GROWING. You do this by building Leaders. Teach them Leadership. Give them Leadership tasks to perform. Believe in them. That is THE Golden Leadership Secret. These are 7 Powerful Team Building tips for your mlm home based business. 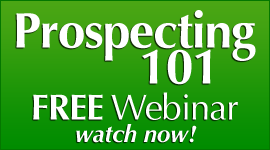 12 MLM Prospecting Scripts that WORK! What should a home business organization look like? How should you construct a network marketing team so that it works at it’s peak performance? What is a TRUE measure of success with a multi level marketing team of leaders? The Measure of a LEADER in NETWORK MARKETING. Most of the people on your team will drive volume-online or offline-with the reselling of the product line. But what about the Leader? What occurs there? What is the way that can you see if a true leader has done their job? 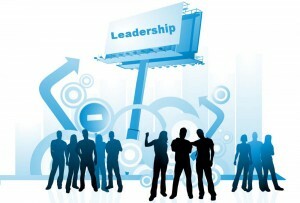 What are some of the specifics of a leader that you know he/she is rocking the growth of their team? Is it the volume they have produced? Is it the money they have earned? The number of recruits they have personally brought in? Understand that the measure of a Leader is NOT related to the money made in a Home based NETWORK MARKETING business. The measure of a Leader is not in the wealth that he/she has amassed. Yes, that is what people talk about, but it is NOT what this business IS ABOUT. NOTE: The measure of a True Leader is how many other Leaders they have developed and built in their groups, as well as how many Resellers they have helped, inspired, and led into more Successful lives with their retailing mlm business. The fruit of that type of Leadership is HUGE financial blessings, not only for the Leader, but for the leaders they have built. It’s ALL ABOUT PEOPLE in MLM NETWORK MARKETING! How would your life change if you knew that you helped a single mom double her income that gave her the ability to improve her children’s lives with an mlm NETWORK MARKETING business? How would you feel to watch a struggling business owner get online and start marketing in a way they never have before, and start producing a whole new stream of revenue with your business? How would your life be impacted by knowing that you had a part in helping a struggling family get back on track financially, and their kids could now afford to go to college because of NETWORK MARKETING? What would it mean to you if NETWORK MARKETING exceeded your family’s financial needs? What if you then had so much left over with your MLM paycheck that you could help others in need in ways that most cannot? That is the POWER in this incredible mlm profession… to change lives, not only from the extraordinary Products that it has to offer and for anyone to market, but also from the Power found in you and your own NETWORK MARKETING Home based business organization! What does a new person do THE VERY FIRST THING when they join you and your company? They start building that Army of Customers, and Resellers with the very first friend that they share the available Products with! 1) You have built an army of Customers loving your products. 2) From that, comes an Organization of Resellers that market them. 3) From that follows a Team of Serious Leaders who go out and build a serious downline. This is the Leadership Blueprint that all leaders must follow-online or offline, social media marketing, or mobile marketing. It does not matter. This is the Leadership Blueprint of building a team of leaders for your mlm network marketing home business! 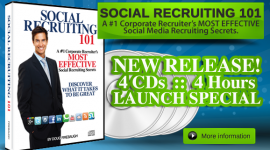 FREE Social Media Recruiting ebook- Social Recruiting Power! 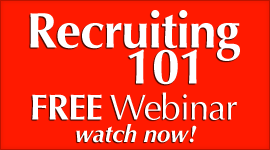 Over 50 recruiting secrets! What is the most powerful part of MLM Leadership? Would you like to learn a more powerful Force in your mlm leadership that truly will rock your home business and recruiting? Inlfluence is key to home business success, no doubt. But yet, when you learn the TRUE Marketing Power that PULLS people towards you, you will be light years ahead of most in our great profession. 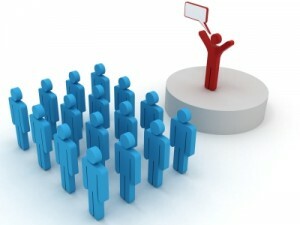 Influence is what many Leaders say DRIVE mlm and network marketing. 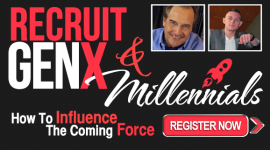 But…does it drive Marketing Success and Recruiting? Or…is there something MORE POWERFUL that you need to engage in your mlm home business? Is there something that you need to focus on more powerfully and will create the results you want for your network marketing business? Influence is something that is very critical. But there is a RULE that you need to understand about the shift that has occurred in the home business profession. 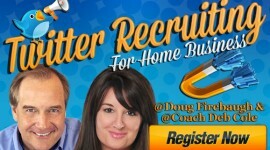 What would that New Home business rule be? NOTE: It is No Longer just about Influence, but IMPACT. It is No Longer just about Influence, but IMPACT. Influence is at the core of Leadership and the secret to this business is Leadership Development. But today, things are changing and Influence is no longer the “Power Factor” of Success with people in a Home business. People today are not looking as much for Influence as something that stirs them up on the inside in a positive way and they FEEL the message-not just hear it or see it. What FORCE does your message for your company have? What Impact does it carry? What does your prospect FEEL from you and your company? That carries with it Impact that amplifies Influence to take action. And what today’s consumers and prospects are looking for is no longer to be Influenced to just DO something– but Impacted so they FEEL something and be moved by it emotionally and psychologically. Many people today create a weaker influence than they should, and thusly it weakens their results as well as actions. Create and impact with your message and product. Ask a thought provoking question. Create a word picture that draws people towards you. Display an image that tells a story-liker the Apple Ipod advertisements – just a silhouette that tells a story. Take your prospects somewhere away in their mind with the sharing of your business and where it could take them. Amplify your Passion and get people magnetized to listen because of what is pouring out of you. THAT creates Impact. Influence will always be important NO DOUBT. But today, Impact is Imperative in your network marketing home business. FREE MLM Team Building 101 webinar- a $97.00 VALUE- FREE! Watch it NOW!